If you have some cash and you’re willing to risk it to get some beer money (or maybe, on the contrary, you have a lot of money and you just like the thrills), there are two options that you might find most attractive. The first one is going to a casino and gambling. If you decide to take this option, your best way is to sign up at a blackjack table or pick a color on a roulette wheel. But if you are one of those who love crypto (and you don’t like casinos very much), then your best option is the altcoin market. Most specifically those of low value, where a minimal variation can turn into massive profits. While a coin worth 2 satoshis increases its price to 5 sats, the gain of more than 200% is incomparable to an increase of 5 satoshis in bitcoin prices (which would be unnoticeable). Credits is an altcoin with an ICO set for 17 Feb 2018 – 28 Feb 2018. Supposedly it aims to solve the problems of the traditional cryptocurrencies through an algorithm that would process “1 million transactions per second, an average processing time of 3 seconds and a mean peak value of 10 seconds”. The team apparently takes its development quite seriously, promoting its crypto in various media platforms. 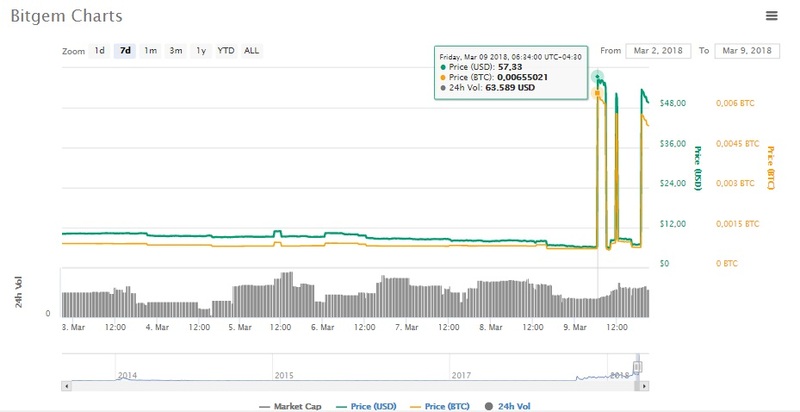 The price after the ICO had a considerable increase that made its value go from 2100 satoshis (approximately 0.24 USD) on March 3, to 10699 satoshis (1.17 USD) by March 6. Some claim that the currency is not keeping its promises; an announcement on one of its social networks shows a 300k Txs/s test – rather large but nowhere close to 1 Million. The increase may have been due to the recent announcement of its ICO, but it is still too early to establish a trend. After that rally, the price is estimated over the weekend at 5652 satoshis or $0.52, recovering from a little bearish trend. KCash points to nationalism. It seeks to “theoretically” consolidate itself as a blockchain platform based in Kazakhstan. The idea apparently is to work as a substitute for money in the country, allowing citizens to make payments and transfers in a faster and more efficient way. The goals they declare are quite ambitious, and probably the most difficult among them is also the most intriguing: to become a local cryptocurrency capable of being swapped by FIAT in exchanges and ATMs distributed nationwide (of course, in an advertisement and a whitepaper everything can be said, but the difficulty lies in taking the promises to a feasible reality). Right now Kcash has a value of $6.1$ or 66097 Sats and can be purchased at BitBay and BTC-Alpha. TOPAZ is an altcoin announced on May 04, 2017. Its purpose was to generate a token that was PoW at first and then move to a PoW/PoS hybrid algorithm after 1325 blocks. It also had a 25000 coin pre-mine. This altcoin was a pretty shady one since the beginning: the community has questioned its developer as a well-known creator of “Sh!tcoins”. The project’s lack of credibility coupled with a lack of information or at least an official website made it long forgotten. However, in its somewhat inactive bitcointalk thread, LycheeBit announced its listing on their MiningPool (the only relatively important post in months). 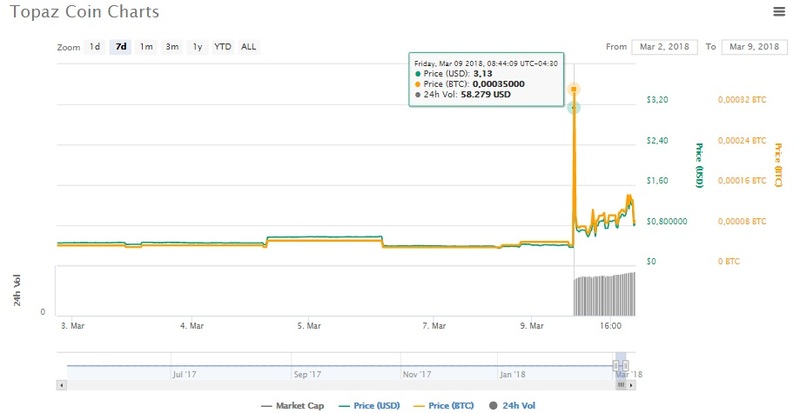 The price of Topaz Coin started the week with a value of $0.56 or 4969 sats, remaining stable until reaching a record high on Friday, March 9th at $3.13 or 35,000 Satoshis. After this sudden change, the currency dropped to $0.57 and has now maintained a bullish trend that has set its price at $0.79 or 8512Sats. This behavior seems very likely to be a PnD, something quite common in low-value altcoins, but after the fall, the price of it is still higher than that of the beginning of the week and apparently already surpassed the resistance it had before the rise. 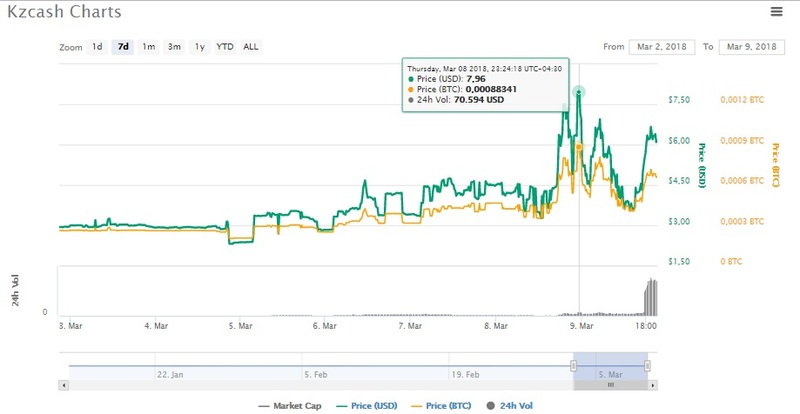 Quebecoin was quoted last Friday at 168 Satoshis or $0.018 and closed on Friday, March 9 with a value of $0.083 or 894 Satoshis. It is not yet known what its limit will be as there isn’t a clear sign of resistance yet. The First place of the top 5 altcoin week goes to a practically unknown altcoin: BitGem. A cryptocurrency announced in 2013 as a blockchain solution to create high-value tokens based on the development of colored coins with a considerably small amount available resembling the scarcity of real gems. The developer at the time made it possible through special-coin-programming; a set of features for the created tokens. These characteristics were the 4 Cs that the gems have in common: Color, Clarity, Cut and Carat. Users could also determine the shape and value of coins. The Tokens could also be configured to be sent in whole numbers and not pieces. This, in theory, could have been a useful tool for jewelry stores and gem markets to tokenize their assets; however, the currency fell into oblivion, their website lost the domain and support practically abandoned. 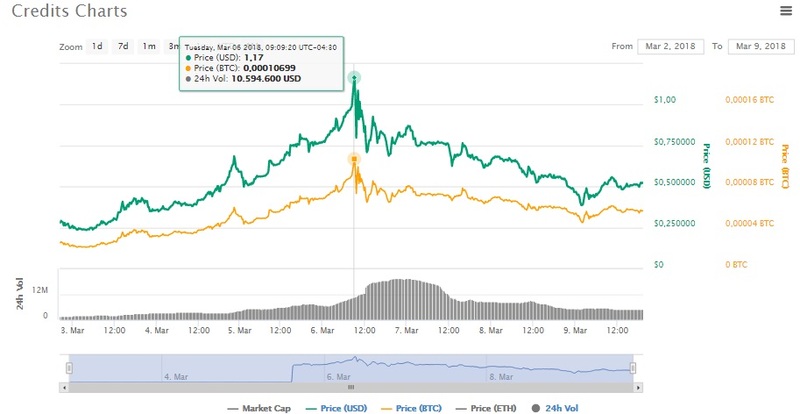 Rising prices surprised those who still had BitGems or were following the altcoin: “This is going to go crazy!” said user zeki555 in the Bitcointalk thread dedicated to BitGem, while others such as user pbbhoppbg defined this behavior as “a joke”. There is no specific explanation for this increase in value. However, fluctuations between a range of historical lows and highs ranging from less than $10 to $50 have been observed almost immediately. Perhaps it is an attempt by individual whales to pump the price and generate some trend. BitGems can be bought on Cryptsy, Coins-E and Enigma. These were the top 5 altcoins – the most successful cryptocurrencies of the week! If you invested in any, congratulations! If not, don’t worry, usually accelerated trends on altcoins behaviors are news we hear about after they occur. Anyway, it’s undeniable that this market has always made us say at least once in our lives, “I wish I knew this before”.